Green Energy | Zeller Electric, Inc. It's more than a trend - it's a proven way to cut the cost of your power bill, and those savings add up every month. We all know that green energy is better for the environment. But, when you consider green energy for your business, you want a partner who can find the best return on your investment. 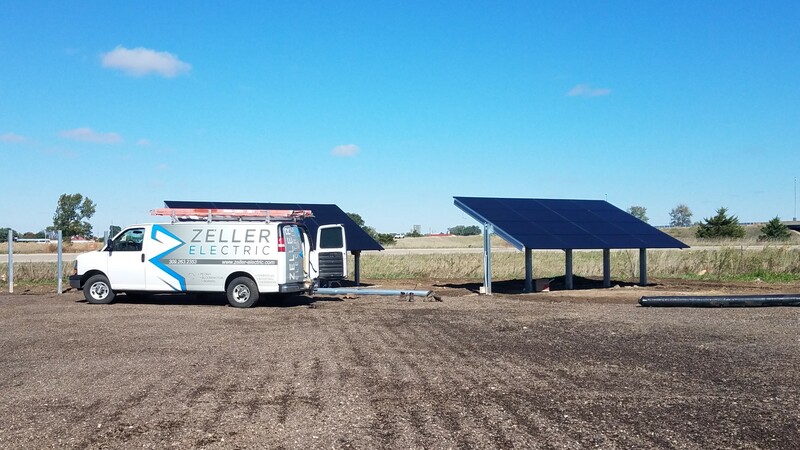 Whether it's an efficiency audit, equipment upgrades, a design change, or a shift to solar power, Zeller Electric can listen to your goals and show you what makes the most sense. And, we can show you the most cost-effective way to get there. When you’re ready to cut the cost of your power bill, just talk to us. Beyond green energy, we can help you with both your residential power or any special projects. "I really liked your guy, John. It was a pleasure to have him working in my home."